Is Your Scientific Malpractice Insurance Paid Up? Pope John Paul II did for the Catholic Church in 1992 what scientists do every single day in their professional lives: admit to a mistake in understanding the nature of the universe. Scientists do it because it is a fundamental part of the scientific method to acknowledge the failings in our understanding of the world, and because of our collective commitment to improving that understanding by refusing to become doctrinaire. A scientist gains no higher respect from his peers than when he tells them he was mistaken and goes on to share what he has learned from that mistake so that they may continue the advance of knowledge. It is this fundamental pillar of the scientific method that has single-handedly been responsible for its tremendous and astonishing successes. The region had been experiencing Earth tremors for more than ten weeks in advance of the earthquake, and on March 30, a 4.0-magnitude earthquake struck the region. There was concern among the public that a larger earthquake would follow, as indeed it did a week later. 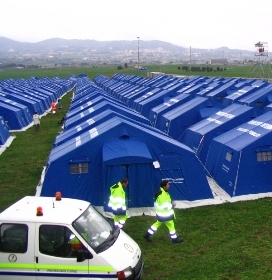 A meeting of the Major Risks Committee, which provides advice to the Italian Civil Protection Agency on the risks of natural disasters was held on March 31. Minutes from the meeting show that the following statements were made about the possibility of a major earthquake in Abruzzo: “A major earthquake in the area is unlikely but cannot be ruled out”; “in recent times some recent earthquakes have been preceded by minor shocks days or weeks beforehand, but an the other hand many seismic swarms did not result in a major event”; “because L’Aquila is in a high-risk zone it is impossible to say with certainty that there will be no large earthquake”; “there is no reason to believe that a swarm of minor events is a sure predictor of a major shock” — all the sorts of cautious statements by scientists trying to place their understanding of the real risk in context of what they know about seismology and what they do not. But at a press conference later held by Bernardo De Bernardinis, a government official who was the deputy technical head of the Civil Protection Agency, reporters were told that “the scientific community tells us there is no danger, because there is an ongoing discharge of energy.” The idea that small seismic events “release energy,” like letting a bit of steam out of a pressure cooker, is one that is soundly rejected by seismologists; the Earth does not function that way. The bizarre aftermath has been the bringing of charges of manslaughter against De Bernardinis and six seismologist members of the Major Risks Committee for their failure to properly warn the public of the danger. The charges were brought almost a year ago, but a preliminary hearing was not held until last week because of delays resulting from requests by dozens of those damaged by the earthquake to receive civil compensation from the accused scientists. Astonishingly, the result of the hearing was not an outright dismissal of the homicide charges, but instead a decision to proceed with a trial that will begin on September 20. To my mind, this case is an absurd attack on scientists, demanding an infallibility from them that they never claim. As one of the indicted seismologists noted, there are hundreds of seismic shocks in Italy every year: “If we were to alert the population every time, we would probably be indicted for unjustified alarm.” These scientists face not only potential incarceration for twelve years if they are convicted of manslaughter, but also potential civil liability for property damage resulting from the earthquake. The fact that this possibility is even being entertained is alarming: It is likely to have a detrimental effect on the kinds of information scientists are willing to share with the public. And if there is a realistic potential for civil liability arising from the kinds of statements that scientists routinely make, it may indeed make sense for scientists to seek malpractice insurance. The very idea, though, that scientific research should be haunted by the threat of legal liability in the way that medicine is already, is more than troubling. One of the accusations frequently leveled at environmentalists is that they are, much like meteorologists, hopelessly fickle. People remember widespread reports in the 1970’s about the possibility of global cooling and the potential imminent onset of another ice age, when now all the talk is about global warming. Or they recall something of Paul Ehrlich’s dire predictions that agricultural production would be incapable of supporting the world’s population, which they watched grow by more than a factor of two in concert with the development of an obesity epidemic. Or they remember how the controversy over acid rain became such an issue between the United States and Canada, so jeopardizing the Canada – U.S. Free Trade Agreement that Prime Minister Brian Mulroney cynically wondered whether it would be necessary to go to war with the United States over the issue. No one talks about acid rain these days, at least not the way they used to. But what changed? 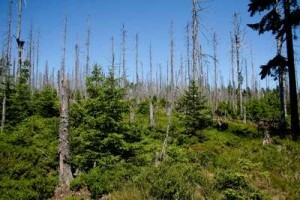 The impression that many in the public seem to have is that acid rain became an issue in the early 1980’s, when images of dying forests and lakes were widely circulated, and then withered away as climatologists shifted their focus to other issues. The reality is, of course, very different. Ever since the dawn of the Industrial Revolution, the effects of acidity in precipitation have been noted, with the term “acid rain” being coined by Robert Angus Smith in 1872. It is associated with the emission of sulfur-, nitrogen-, and carbon-containing gases as byproducts of industrial processes that produce acidic compounds when they react with water. And the reason it is not discussed as widely as it once was is not because the issue mysteriously vanished or because climatologists are opportunistically fickle, but because actions were taken to reduce its impact. It was George H. W. Bush who had pledged to become the “environmental president” and who in 1990 supported what was then an innovative approach to reducing targeted emissions. The basic idea was one that had been studied theoretically by economists and which attempted to adapt market mechanisms as an indirect form of regulation. Rather than dictate through strict regulation how emissions should be reduced, the Clean Air Act was amended to put those market mechanisms in place by establishing what has since become known as a “cap and trade” system. The basic idea was to limit the aggregate sulfur dioxide emissions from different sources, but to permit allowances to be traded so that the market would be involved in determining which sources were permitted to produce emissions within the limits and at what levels. There were many criticisms of the approach, most notably from environmentalists who fretted that it allowed large polluters to flex their economic muscle in buying permission to pollute. But the program is largely acknowledged to have been a success, not only achieving full compliance in reducing sulfur dioxide emissions but actually resulting in emissions that were 22% lower than mandated levels during the first phase of the program. This was also achieved at a significantly lower cost than had been estimated, with actual costs now determined to be about 20 – 30% of what had been forecast. The annual cost of having companies figure out for themselves how to reduce acid-rain emissions has been estimated at about $3 billion, contrasted with an estimated benefit of about $122 billion in avoided death and illness, and healthier forests and lakes. The success of the acid-rain program is naturally being considered as a way of addressing carbon emissions that are associated with global climate change. Thus far, the United States has rejected a national implementation of cap-and-trade for carbon emissions, causing California to decide to implement it itself in accordance with its Assembly Bill 32, a copy of which can be found here. Signed by Governor Schwarzenegger in 2006, the bill requires California to reduce that state’s carbon emissions by 2020 to levels that existed in 1990. A copy of California’s plan to do so using an implementation of cap-and-trade can be found here. Part of what California seeks to do is to improve on a generally failed cap-and-trade program in Europe that began in 2005. One of the more significant problems with the European implementation was that governments began the program with an inadequate understanding of the level of carbon emissions in their countries. Too many allowances were issued, causing market forces quickly to force the price of carbon to zero by 2007. In addition, a number of tax-fraud schemes and a recent theft of carbon credits stored in the Czech Republic registry have resulted in justifiable concern about the program that some worry will affect the California program. It is no surprise that the California program has been the subject of litigation, and last week a ruling was issued by the Superior Court in San Francisco agreeing that alternatives to a carbon-market program had not been sufficiently analyzed. A copy of the ruling can be read here and a copy of the (much more informative) earlier Statement of Decision can be read here. There is considerable interest in the California program. It is decidedly more ambitious than the more limited program implemented by ten states in the northeastern region of the United States and is being considered by some Canadian provinces as well as by some South American countries. While last week’s decision certainly derails implementation of cap-and-trade in California temporarily, it is difficult to imagine that it will not ultimately be implemented after deficiencies in the studies have been addressed. There is too much interest in it as a regulatory scheme that can have less adverse economic impact than other forms of regulation even while achieving the same overall objectives. It is no secret that Ronald Reagan took positions that were strongly opposed to abortion, at least at the time of his Presidency. After he won the 1980 election, the first thing he said at his first press conference was that he would “make abortion illegal,” and he maintained a strong anti-abortion stance during his years as President. He consistently opposed not only efforts to maintain the legality of abortion procedures in the United States, but also implemented peripheral policies that sought to advance the objectives of the so-called “pro-life” movement: school authorities were required to notify parents if their children sought contraceptives at school clinics and workers at family-planning clinics who received federal funds were forbidden to present abortion as a medical option to pregnant women. And, of course, he was opposed to stem-cell research. It is thus a particular irony that since her husband’s death, the most poignant of Nancy Reagan’s few comments on policy have been to advocate support for stem-cell research. It was in 2004, just months after Ronald Reagan’s death, that she publicly responded to President Bush’s decision to limit funding for such research, criticizing his decision and expressing her opinion that too much time had already been wasted discussing the issue. In 2009, she publicly praised President Obama for his reversal of the Bush policy. But Obama’s decision to lift restrictions on federal funding for embryonic stem-cell research has not been without consequences. I commented several months ago about the case of Sherley v. Sebelius here in which District Court Judge Royce Lamberth held that the Dickey-Wicker Amendment prohibited federal support of such research, a decision that would have had even more impact on the federal funding of stem-cell research than even the Bush restrictions. In light of the report in Nature last week that induced pluripotent stem cells — which, unlike embryonic stem cells, can be created without the destruction of embryos — might be rejected by a patient’s own immune system, it seems valuable to review what has happened with Sherley since last August. A copy of the Nature paper can be found here (subscription required). The Dickey-Wicker Amendment is one that no Congress or Administration —Democrat or Republican —can credibly criticize since it has been passed by all as part of the Labor, Health and Human Services, and Education appropriations acts every year since 1995. It has been passed not only with the signature of Republican President Bush, but also with the signatures of Democrat Presidents Clinton and Obama, after being enacted by both Democrat- and Republican-controlled legislatures. After the District Court found that funding of embryonic stem-cell research violated the Act and refused to issue a stay until the appellate court reviewed the decision, the Court of Appeals for the District of Columbia itself stayed the action pending its review. On April 29, the appellate court issued its ruling, vacating the preliminary injunction and allowing federal funding of embryonic stem-cell research to continue. In my earlier post, I commented that as “much as I personally support investigations into the use of embryonic stem cells because of their tremendous potential in the treatment of disease, I have difficulty faulting the Court’s decision.” I found the language of the Dickey-Wicker Amendment unambiguous and dismissed attempts to parse it differently as “contrived.” Two of the three judges on the Court of Appeals disagreed. To reach this conclusion, the majority notes the use of the present tense in the statute (“are destroyed” instead of “were destroyed”) and consults some online dictionaries for definitions of the word “research.” I am always wary of these kinds of analysis, which can give the impression of constructing a post-facto rationale for a decision improperly made for other reasons. Such analysis is too much like relying on the exploitation of loopholes and technicalities instead of principled application of the law as it was written. 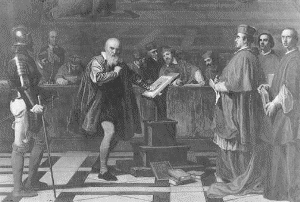 I therefore find myself sympathetic with the dissent’s criticism that the judges in the majority have performed “linguistic jujitsu” and “taken a straightforward case of statutory construction and produced a result that would make Rube Goldberg tip his hat.” A copy of the full opinion and dissent can be read here. Researchers are generally pleased with the ruling, but in many ways that represents a short-sighted view. The problem with the Dickey-Wicker Amendment is especially apparent when the procedural posture of Sherley as it now stands is considered. 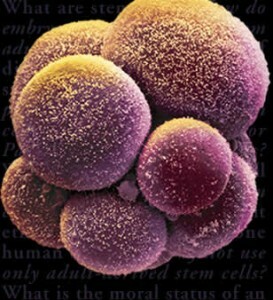 So far, the only issue that has been resolved is whether experiments involving embryonic stem cells are “research in which a human embryo is destroyed.” The case now returns to the District Court for consideration whether such experiments are “research in which a human embryo … is knowingly subjected to risk of injury or death greater than that allowed for research on fetuses in utero,” a question that potentially raises a host of different arguments. While it is possible to take other procedural actions at this point — request a rehearing en banc by the full Court of Appeals or petition the Supreme Court to hear the case — those other actions almost certainly represent too much risk to stem-cell researchers. As difficult as it may be to do politically, it strikes me as much easier to find a way to avoid the annual ritual of having the Dickey-Wicker Amendment added as a rider to funding bills.